Rock candy sure is good, isn’t it? I remember one time when we were kids me and my friend Maxwell, rest his soul, ate rock candy all afternoon before that big bully kid asked us if we wanted to see a dead body. Many years later, I looked up some information about rock candy and wrote this for you. Find some rocks. If they are already on sticks, that is ideal. Sugar the rocks. Rock candy has lots of sugar. Make sure the sugar is like, you know, all crystally. If the rocks weren’t already on sticks, put them on sticks. Rock candy must come on a stick. That’s why it’s called rock candy. Locate a rock candy store. Every town worth anything has one. Sell the rock candy you made to the rock candy store. Or you could eat it, maybe, if you don’t have diabetes. Don’t get rock candy mixed up with rockin’ candy, which is made out of guitars. 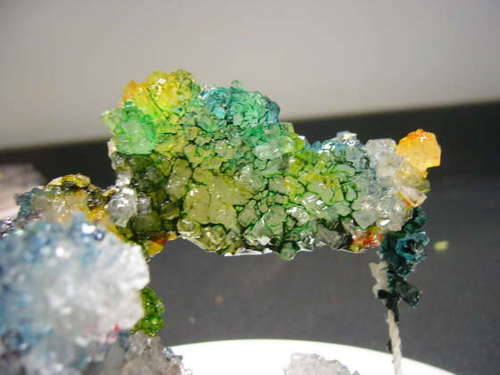 There is a place called the Big Rock Candy Mountain that has all kinds of rocks you can make rock candy out of. It is in New Mexico. Rock candy is very bad for your teeth. Not only is it very sugary candy, it is also rocks. Before you make rock candy, think about the type of rock you want to use. Igneous rock candy is made from candy lava, while sedimentary rock candy comes from tiny pieces of candy accumulating together. Metamorphic rock candy can change shape at any instant. There is no such thing as rock vegetables…yet.